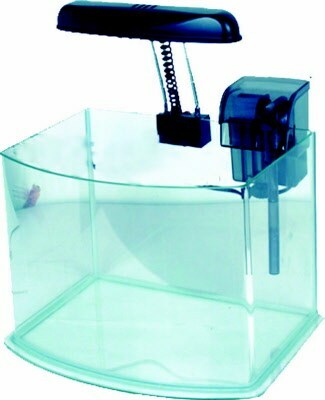 The 3 gallon Picotope has a small tank size with a big tank feeling. This is a great choice for desktops and countertops and anyone trying to conserve space. Ideal for either freshwater or saltwater. This order is for the tank only. It does not include the light, filter, or any other accessories.